If you landed here, you are probably getting ready to pack a hospital bag to get ready to have a baby—Congrats! 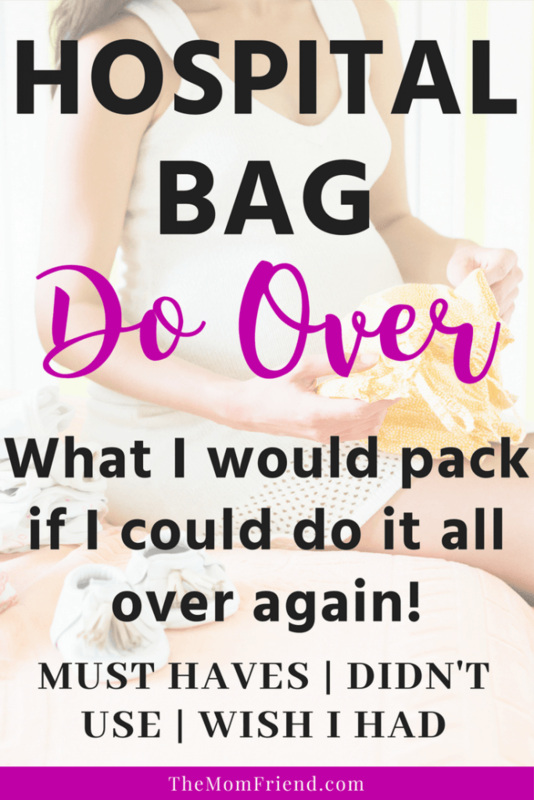 Here is a peek at what I learned the first time around and what I would change if I could go back in time and repack my hospital bag for mom. When I was preparing for labor and delivery with Charlie, I did a lot of research as to what I should bring. And it seemed everything focused heavily on the labor side of things. When it came to my delivery, however, my labor was luckily super quick and I didn’t break out anything I brought to help it go smoothly. But then I spent the next 3 days in the hospital, and boy were there some items I wish I had during that time! I’m sharing some of the lessons learned from my packing my hospital bag for my first birth and telling you exactly what I wish I had, what I could have left at home, and the must-have items that are making my list for next time! Nursing Tanks Wearing nursing tanks was so easy the first time around. I actually skipped wearing a bra most of the time because I just wore a nursing tank most days. They are easy for access for breastfeeding and quick cover-ups when people stop by the room. I do however have a recommendation down below though for what I would change about them! Flip Flops A must for walking around the room and bathroom. It is hard to move after delivery—like really hard—and so it is important to have something grippy to feel a little more stable. The last thing you want it to have to worry about slipping and falling! Boppy Pillows were a godsend when trying to learn how to position a baby for breastfeeding. My arms got so tired trying to hold her and position her correctly, and the Boppy pillow was a lifesaver for providing support and allowing me to focus on trying to get her to latch correctly without having to hold her entire weight in my arms. Snacks The cafeteria and room service closed at like 8pm at the hospital, but this mama was up all night long since our hospital is “baby-friendly” and the baby stays in room. I was so hungry during my stay and kept having my husband bring me more food, but I am definitely grateful for the snacks I packed in my hospital bag. Definitely recommend bringing some granola bars and easy to eat snacks to hold you over in between meals or visitors. Mom tip: I also always ordered more than I wanted or needed at mealtime so I could keep food on hand to eat later! Bag of quarters I saw a good tip on some hospital bag checklists that suggested bringing money for vending machines for snacks to keep hubby nourished. Maybe it was just my husband, but he didn’t use them at all and would just leave for a little while to run home or go grab food and bring it back to the hospital. Surplus of outfits for baby I packed multiple outfits for the baby in multiple sizes. While we did use a few for our Fresh 48 photos and for the trip home, I definitely brought too many. She spent most of her time in the hospital provided onesies, and then wrapped in a swaddle. 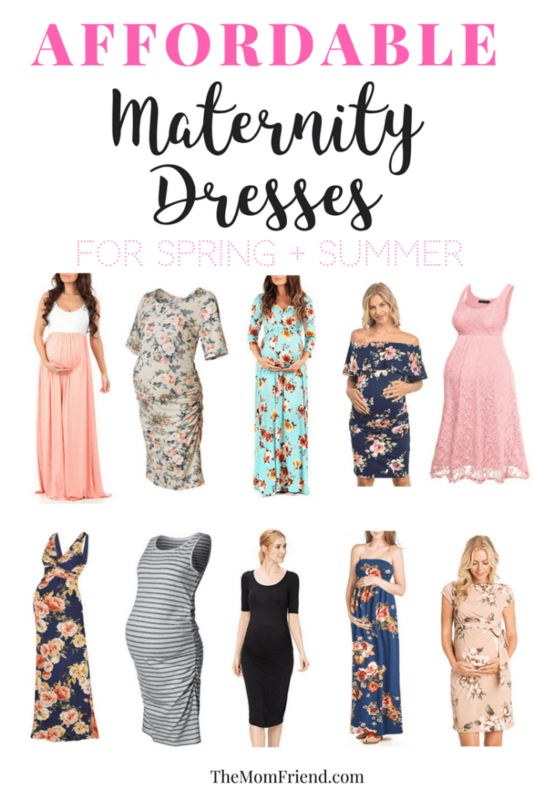 I would recomend 2 outfits in 2 different sizes (NB and 0-3 months) if unsure about sizes and want to have a variety for pictures. Opt for cute swaddles instead for more variety in pictures (and to double as burp cloths!). Tshirts (non-nursing style) I originally thought I would be most comfortable if I just wore a nursing bra and a loose tshirt and then lift up the shirt when I was feeding her. I quickly realized that holding up a shirt while awkwardly trying to learn to breastfeed just wasn’t cutting it, so I went to just nursing tanks after that. Hair Straightener/Flat Iron Since we were having Fresh 48 photos taken I brought my hair straightener with me to try to make myself look a bit more presentable. but all that lying in bed left my hair super flat and a straightener was not what I needed to make it look better! It definitely just took up space. Long sleeve PJ gown In my hunt for pajamas that I could nurse in, I came across and non-maternity PJ gown that buttoned up in the front. I thought it was perfect for a winter delivery and brought it along with some dark pj pants to wear with my tanks/tshirts. Turns out I was on and off with being too hot or cold, so having something with long sleeves that I couldn’t take off was super annoying. I also found the buttons to be too small and hard to do with a crying baby. I would change up my pj choice for sure! Something like these would be great instead. An extra-long phone charger I made sure to pack a phone charger in my bag, but it was not good enough. Turns out the only outlet I could use near my bed was on the left side, and my phone only reached the tray table. This made using my phone while it was charging almost impossible and also created an unexpected problem—whenever I unplugged it to take a photo of Charlie or to answer a call/text, the cord fell down off the table. I either had to pick it up, or leave it there until I could have someone get it for me. Totally annoying. I now own multiple long cords—this is a great deal for Micro USB, and this one works for iPhones! A lightweight robe I had packed a robe in my bag, but since I delivered in November the options in stores were all heavier cotton. I ended up with one that was a little too warm, and had a hood, which was just uncomfortable when laying in bed. I also didn’t like how the sleeves were so long that they bothered my IV ports. Next time I’ll go with something lighter and with 3/4 sleeves. I would have been much more comfortable just lounging in something like that instead! Comfortable Nursing/Sleep Bras As a first-time mom I had no idea what type of nursing bra I would like or use. I ended up buying a few basic ones, but they were all really uncomfortable. For being in bed so much, if I could repack my bag I would have added some lightweight nursing/sleep bras (I love the softness of this one), and maybe 1 other style. At least one non-strappy nursing tank/top For my hospital stay I brought 2 spaghetti straps nursing tanks (plus those pesky tshirts mentioned above). However with sports bra style of nursing bra I was wearing, once I got over my initial nakedness and started having visitors, I became a little disappointed in my apparel choice since it just looked funny. I am all about picky clothing that makes life easy AND makes you feel good. I would just bring a wider strap nursing tank top or PJs for times when I know I’ll have company for a few hours and want a little more coverage. Dry Shampoo My hair was a hot mess the entire time and I didn’t get to take a shower as early as I wanted. Dry Shampoo would have gone a long way to make me feel a little less greasy! So there you have it, my wish I had items, didn’t need, and must-haves for my first delivery. I can’t wait to show you what I’m packing the second time around! 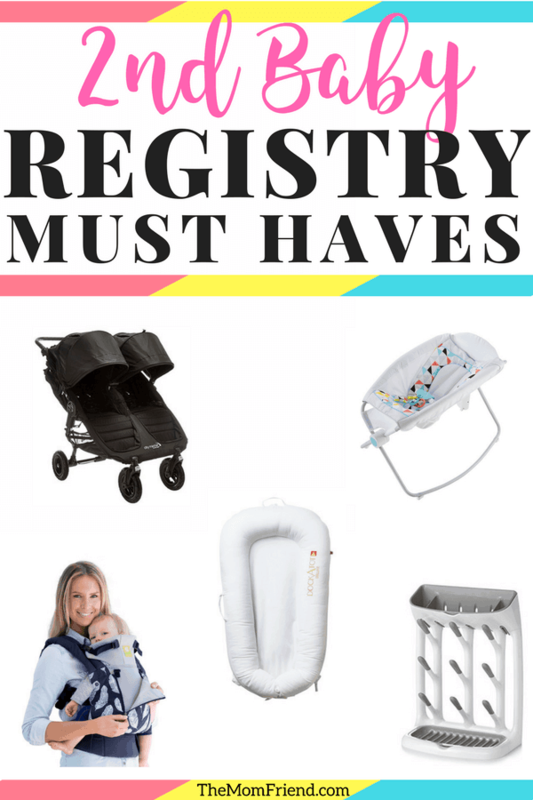 Lots of the items above could be added to your baby registry as well, meaning you can get them at a shower or score a great discount on them once you receive your registry completion discount (usually 8-10 weeks before your due date). What did you find yourself wanting during your hospital stay, or what things were a waste of space? Share your thoughts below! Check out other great posts! Such great ideas! I forgot flip flops the first time…YUCK!!! I was sure to pack them after that! Oh I can imagine how realizing you left them must have felt! Definitely useful! It might’ve been just me or the fact that I had a quicker stay than most. I had my daughter at 7:30 at night and then only got 1 night after that, so I was really there for about a day and a half after having her. I really didn’t need much there at all. The only thing I made my husband go home and get was dry shampoo because I couldn’t walk and didn’t want to use their shower. This is awesome! Dry shampoo is going on my list! I actually used my boppy for myself as head support when I slept (thank you c section). I suggest a pair of slippers from home too! Great idea on the slippers!